MBDA multiple solutions of air defence systems for multiple missions at LIMA 2013. At the Langkawi International Maritime and Aerospace exhibition LIMA 2013, MBDA will again demonstrate its unique status as the only company with a product catalogue capable of meeting the guided weapons requirements of all three armed services: air, land and sea. With both naval and ground based air defence being a key concern for many nations around the world, especially with the onset of ever more dangerous and technologically advanced airborne threats, prominently displayed on MBDA’s stand at the exhibition will be a number of solutions focusing on Aster, VL MICA, CAMM and Mistral missiles. Additionally, with the Royal Malaysian Air Force looking for a new multi-role combat aircraft (MRCA) to replace the country’s MiG29s, MBDA will be showcasing a number of air-launched weapons capable of maximizing the operational capability of today’s modern air forces. MICA is the major air to air weapon on the Mirage. It is also the weapon system that is in service of the French Air Force and French Navy’s Rafale. Showcased on MBDA’s stand, this is the only missile in the world featuring two interoperable seekers (active radar and imaging infrared) to cover the spectrum from close-in dogfight to long beyond visual range. Its ability to fly out to BVR in passive mode before the seeker locks on in the final stages of the end game has earned it the sobriquet “silent killer” as the target has little time to react or to deploy effective countermeasures. MICA is the multi-mission air-to-air missile system for the Rafale and the latest versions of Mirage 2000-5 combat aircraft. ASRAAM’s unmatched speed and agility guarantees “first shot first kill” in short range combat to avoid the need for getting involved in the lottery of a dogfight. This very aerodynamically sleek missile is in service on the UK RAF’s Eurofighter Typhoons and the Royal Australian Air Force’s F/A 18s. ASRAAM is the most modern air-to-air missile designed to dominate the Within Visual Range combat mission. 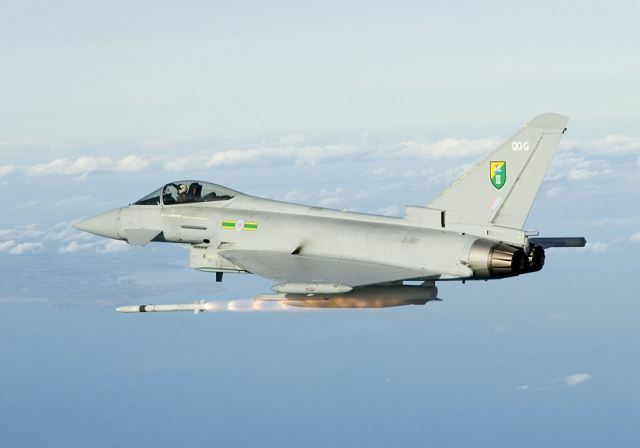 METEOR is a six-European nation programme that will provide the key future BVR air-to-air armament for Europe’s new generation of combat platforms such as the Eurofighter Typhoon, the Rafale and the Gripen. This missile’s very long range combined with its ramjet-induced speed, result in a weapon that has an unequalled No Escape Zone. In fact METEOR has been designed to be many times superior to the most sophisticated current and emerging MRAAM threat. With Meteor the combat pilot can safely engage, taking the first shot, while still well beyond the range of the enemy’s own missiles and ability to respond. The advanced technology contained within METEOR controls speed and fuel consumption throughout the flight envelope. This ensures that maximum power and hence agility are maintained at the extremes of range where other MRAAMs have long since ceased being effective. As well as showing off MBDA’s mastery of the most advanced technologies, Meteor is vivid proof of the company’s skill in managing international cooperative programmes. 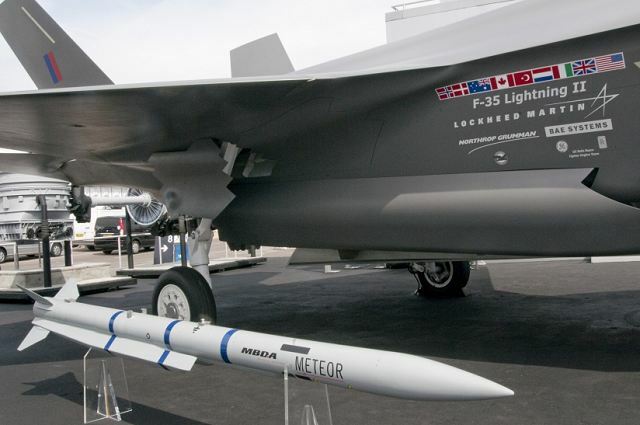 Meteor is the next generation Beyond Visual Range Air-to-Air Missile system (BVRAAM) that will totally revolutionise air-to-air combat in the 21st Century. he Brimstone missile can be launched in fire-and-forget mode or, should man-in-the loop be required because of complex operational conditions, the DMB SAL mode can be selected. Significantly, DMB is the only weapon currently available that can engage fast moving land and sea targets with high precision. It also offers a major operational advantage in being able to deal with the swarming FIAC (Fast Inshore Attack Craft) which has become a fast emerging and worrying threat in coastal waters. DUAL MODE BRIMSTONE (DMB) is the latest member of the proven Brimstone Weapon System family. 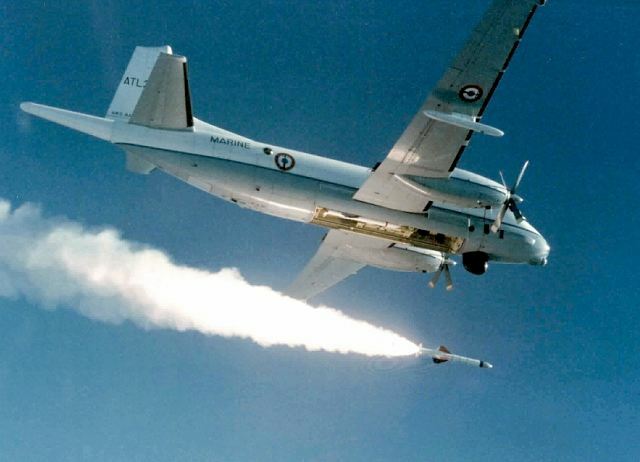 DMB provides a low collateral, close air support weapon offering the fast jet operator the unique capability of engaging a wide range of target types, including fast moving vehicles/vessels in both a land and naval environment, in both direct and indirect fire modes. SCALP/STORM SHADOW more than meets the most demanding of deep strike requirements. The ability to deliver precision effects from a safe stand-off distance against high value targets such as well protected control bunkers/centres, key infrastructures and military installations is crucial in the early days of a conflict as was shown in Iraq and Libya. Qualified on a range of aircraft, STORM SHADOW/SCALP is in service with the air forces of six different nations and has proven its unerring and unmatched ability to combine very long range with devastating target effect. 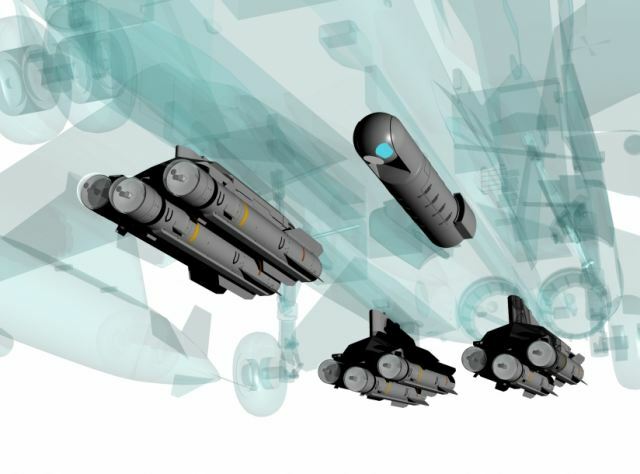 Storm Shadow / SCALP is the air-launched long range, conventionally armed, cruise missile, designed to meet the demanding requirements of pre-planned attacks against high value fixed or stationary targets. EXOCET probably ranks as the world’s best known anti-ship missile. 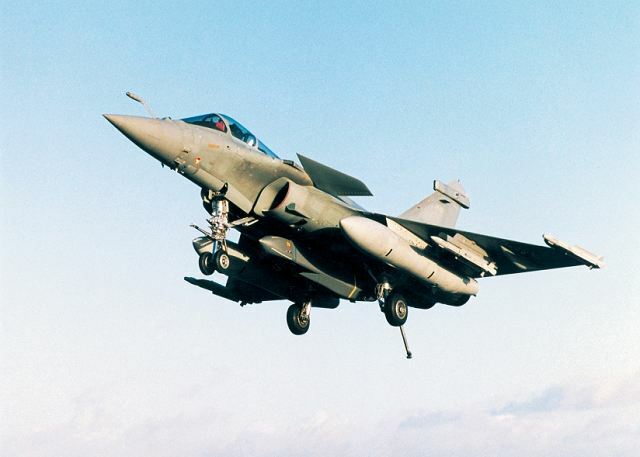 The AM39 version can be launched from Maritime Patrol Aircraft, strike fighters such as the Rafale as well as medium to heavyweight helicopters. Features such as low signature, sea-skimming flight at very low altitudes, late seeker activation, enhanced target discrimination and ECCM combine to make this a redoubtable weapon indeed. In its Block2 Mod2 latest evolution it is now fully compliant with the latest digital interfaces as was proven in a September 2012 test firing that qualified the missile on the French Navy’s Rafale F3. EXOCET AM39 is the air-to-surface version of the EXOCET family. EXOCET AM39 can be launched from strike aircraft, Maritime Patrol Aircraft and helicopters. 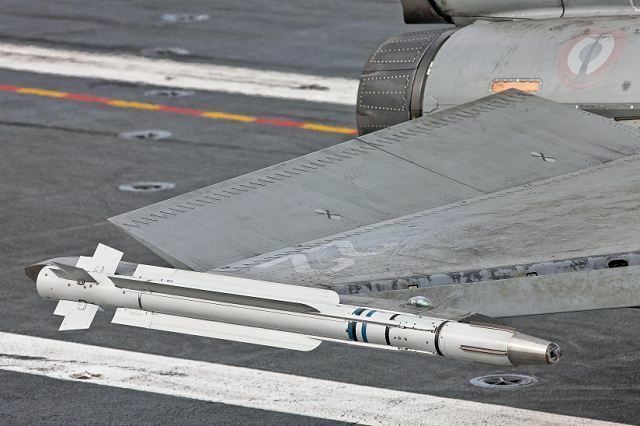 SPEAR 3 is the latest addition to MBDA’s product catalogue. This high precision surface attack weapon for fast combat aircraft was first revealed at the 2012 Farnborough International Air Show. 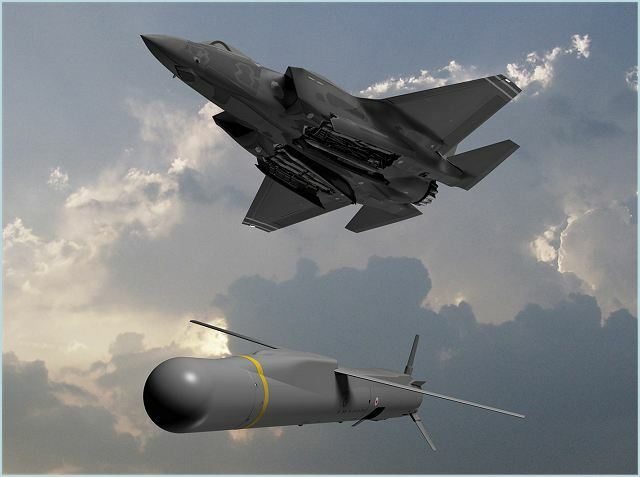 Being advanced to meet the UK MoD’s requirement for a network centric, low collateral damage, multi-target standoff strike weapon for its future fleet of F-35s, SPEAR is also suitable for other platforms such as the Eurofighter providing operational capabilities against an extremely broad target set ranging from fast moving manoeuvring vehicles including main battle tanks (MBTs), hardened structures, air defence units and missile launchers to naval vessels. With a range out beyond 100km, high sub-sonic flight, a multi-mode seeker for day and night operations and GPS/INS guidance with data-link, SPEAR will provide a true multi-role capability well into the future. Fitted with the latest generation multi sensor seeker designed to operate in all combat conditions and to be able to engage a wide range of target types both on land and sea. SPEAR is effective against a broad range of ground targets.